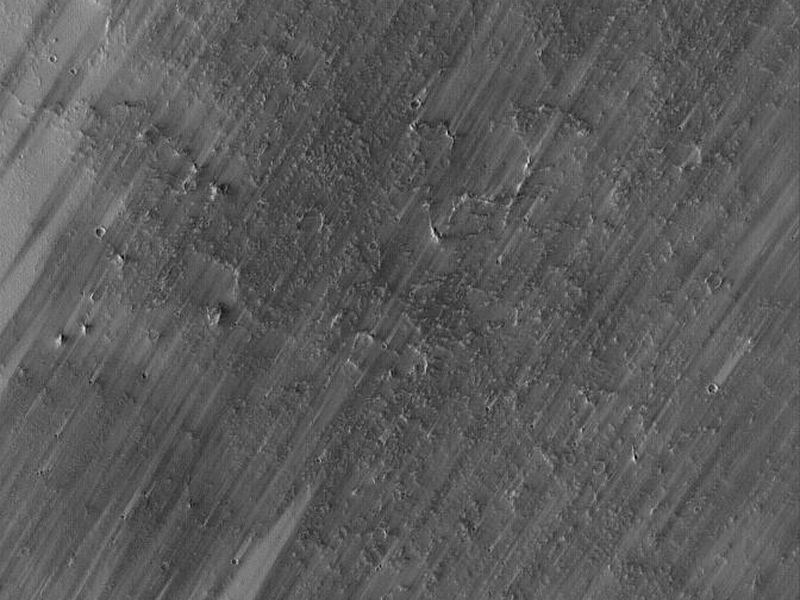 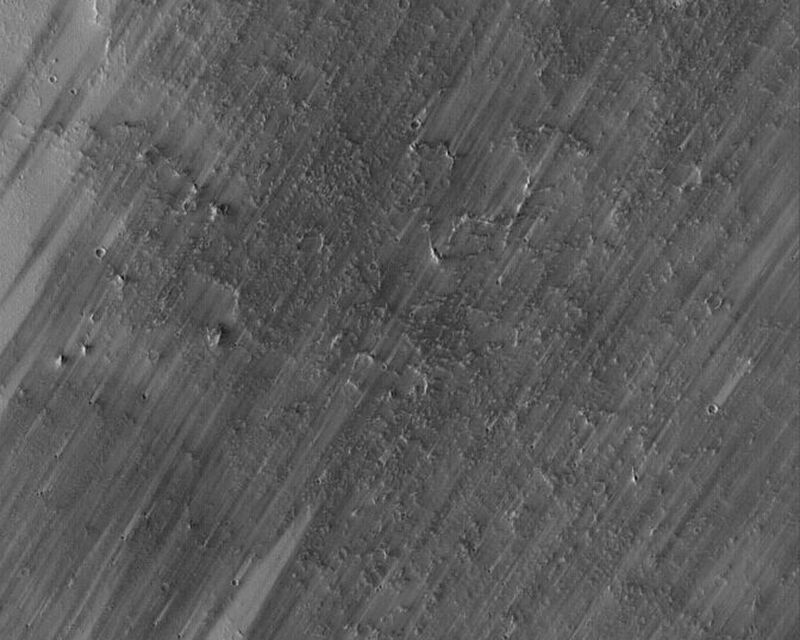 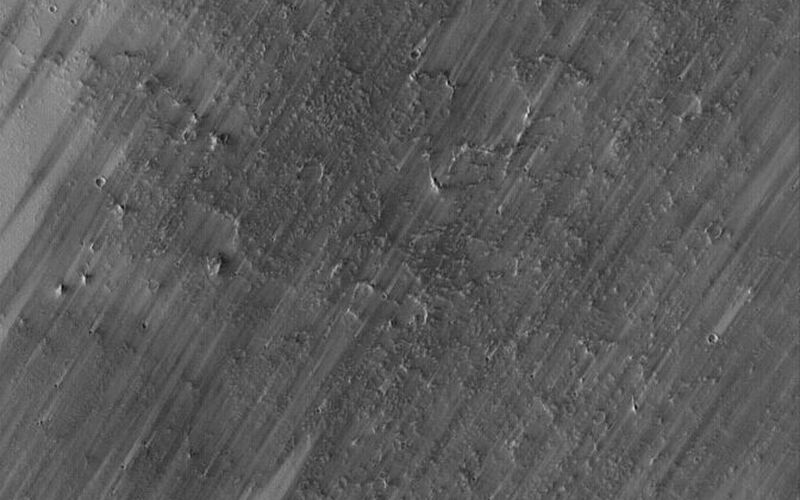 This Mars Global Surveyor (MGS) Mars Orbiter Camera (MOC) image shows a wind-streaked plain in Tharsis near the Pavonis Mons volcano. The lighter-toned surfaces show how the plain used to look, before strong winds removed much of a thin coating of dust. 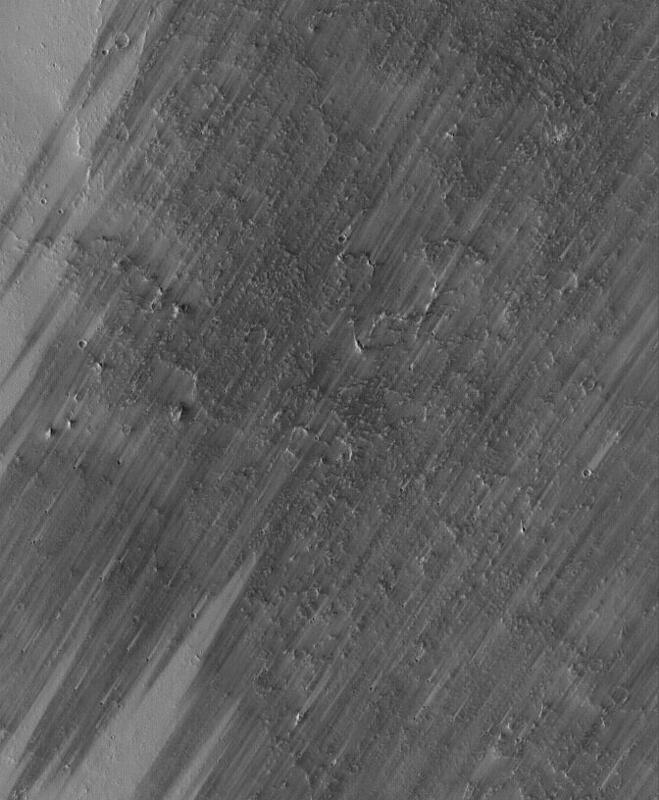 The light-toned tails behind several craters show that the winds blew from the southwest (lower left).